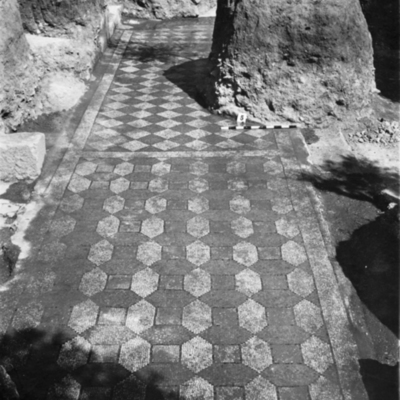 Marble pavement over colonnade foundations. 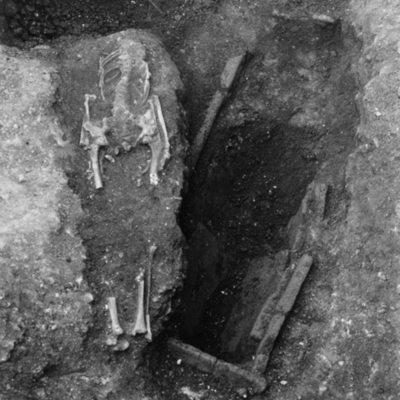 Headless skelton in situ in Room 5 and the grave below it. 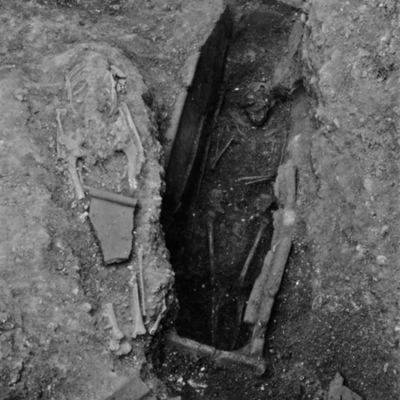 Skeleton in situ with tile grave. 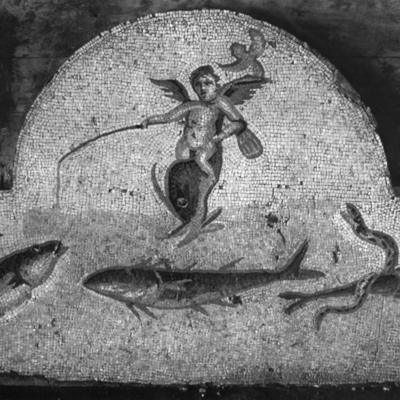 Nymphaeum lunette no. 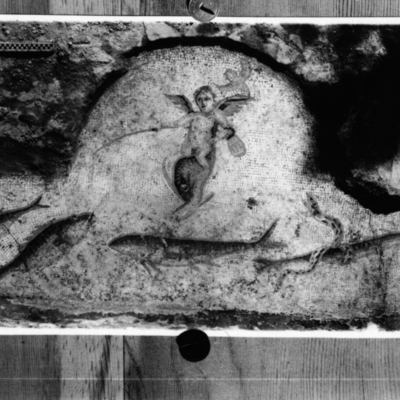 5 showing Eros on a dophin fishing. 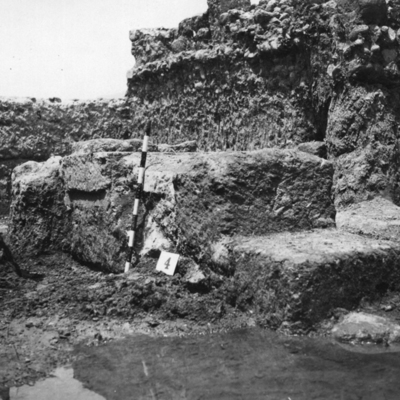 Nymphaeum lunette no. 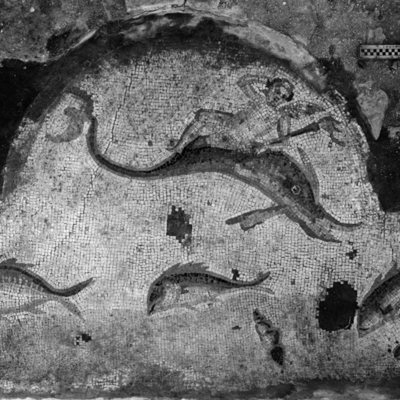 4 showing Eros on a dophin fishing. 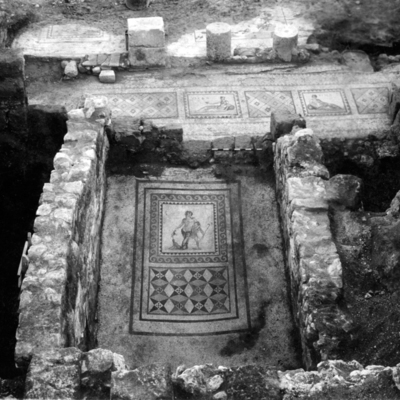 General view of Rooms 4 & 5 showing mosaic floors. 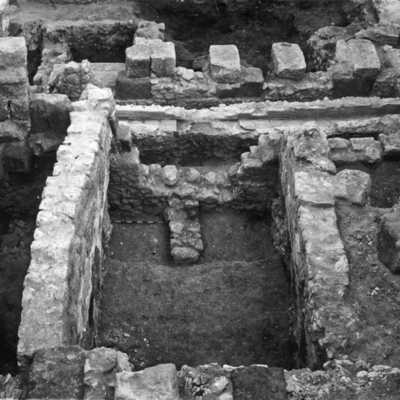 Nymphaeum lunette no. 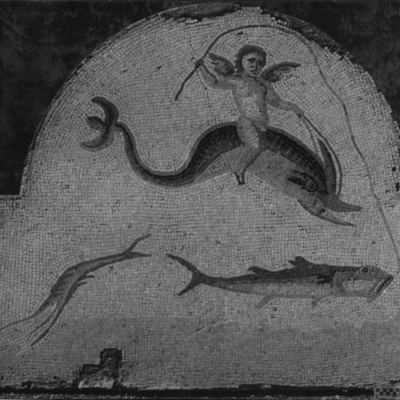 1 showing Eros on a dophin fishing. 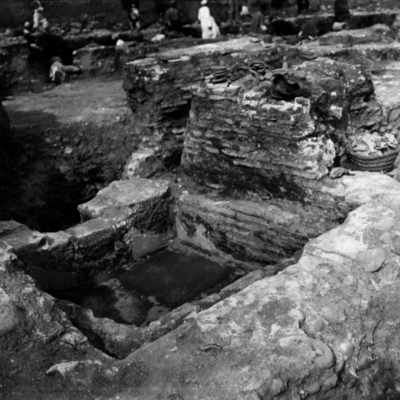 Nymphaeum lunette no. 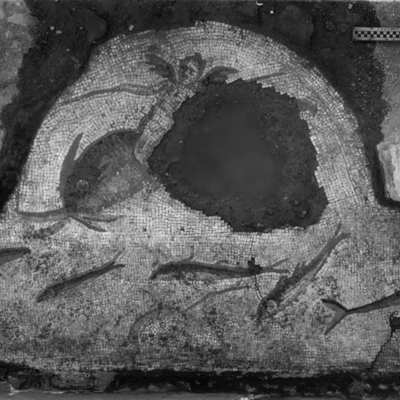 3 showing Eros on a dophin fishing. 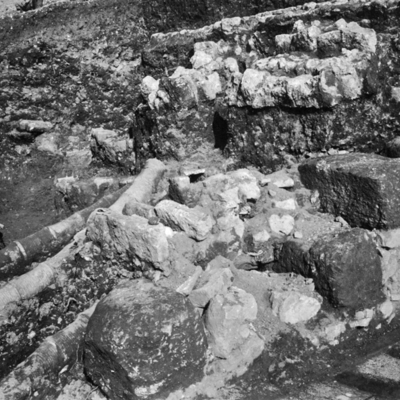 Nymphaeum lunette no. 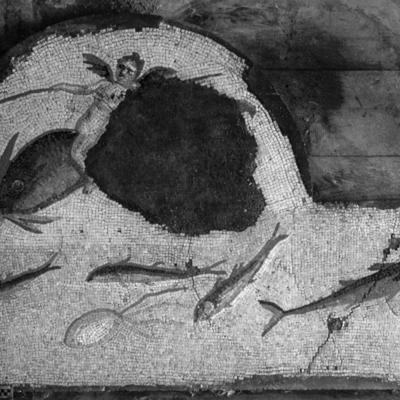 2 showing Eros reclining on a dophin. 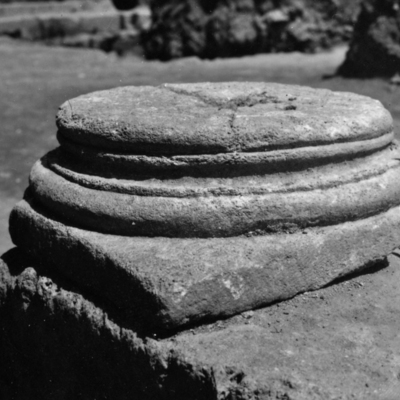 Nymphaeum lunette no. 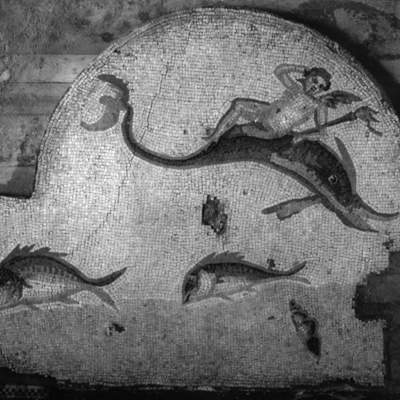 3 showing Eros on a dolphin fishing. 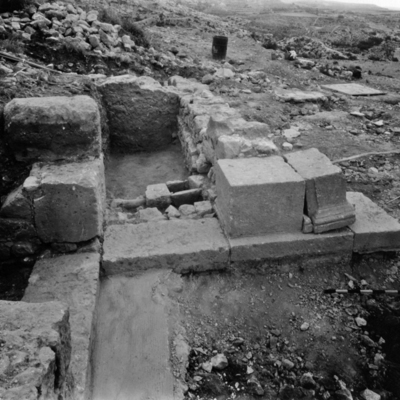 Nymphaeum lunette no. 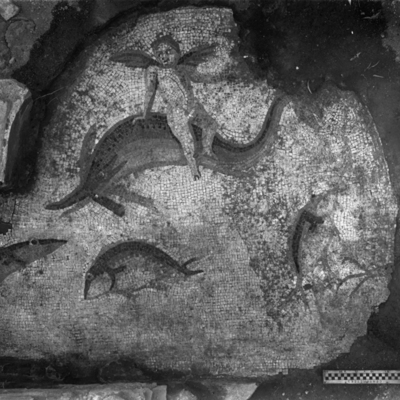 5 showing Eros on a dolphin fishing. 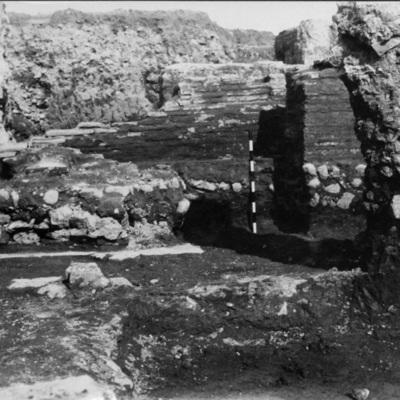 Nymphaeum lunette no. 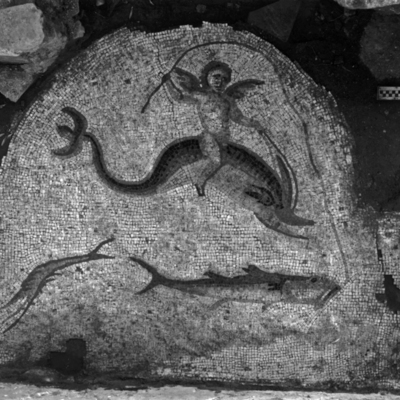 2 showing Eros on a dolphin holding a torch. 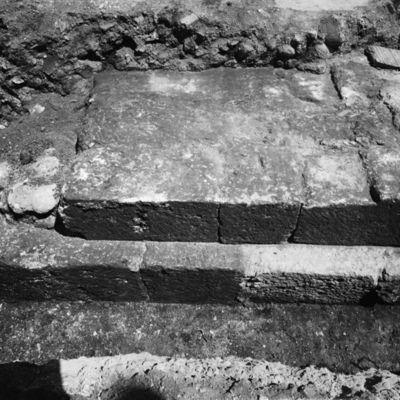 Nymphaeum lunette no. 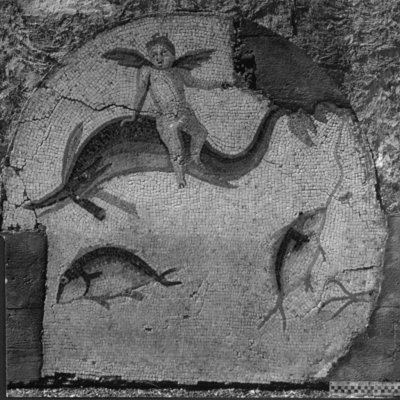 1 showing Eros on a dolphin fishing. 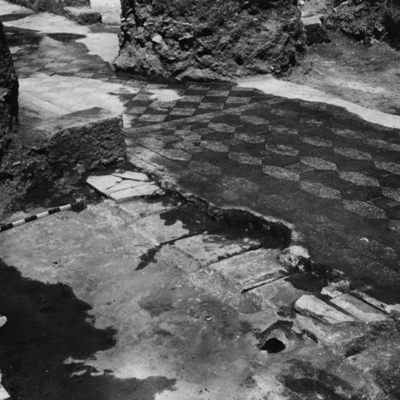 Late drains and water main over Rooms 4 & 5. 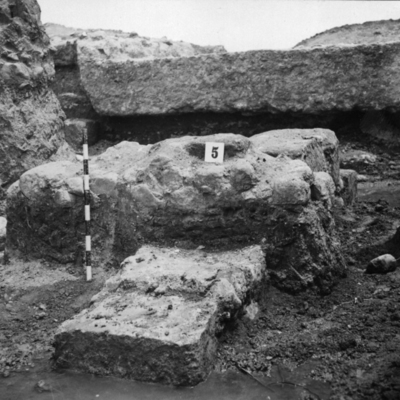 Collapsed Doric column in front of Room 5. 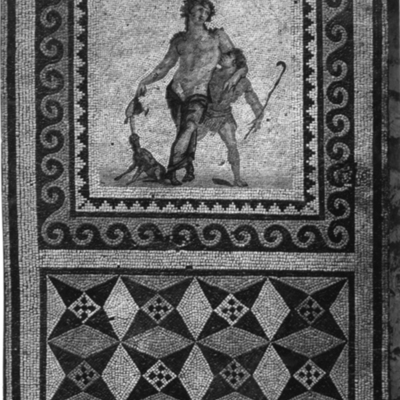 Mosaic floor of Room 5 Dionysus leaning on Silenus. 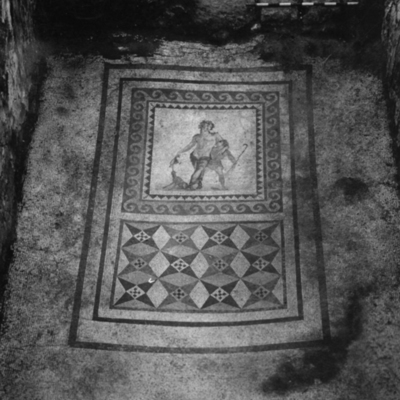 General view of mosaic floors in Room 5 and the corridor. 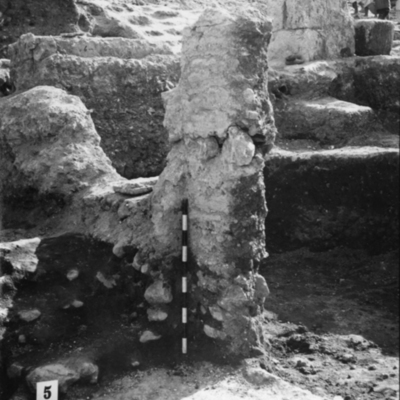 Detail of Room 5 and flue. 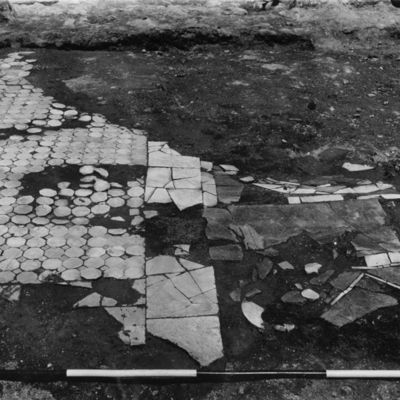 View of Rooms 5 6 & 7 after removal of mosaic floors. 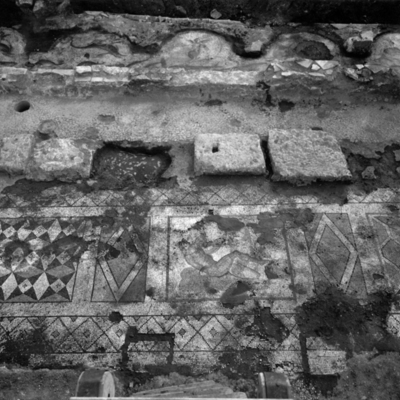 Back of Drunken Dionysus mosaic after raising and removal of ancient concrete backing. 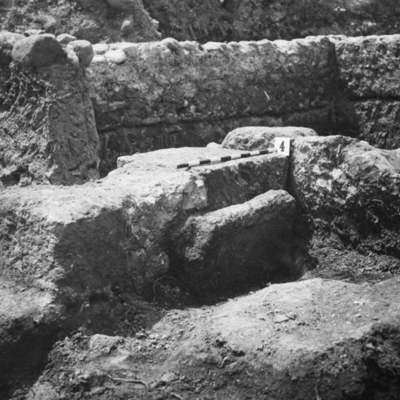 Detail of southwest corner of Room 5. 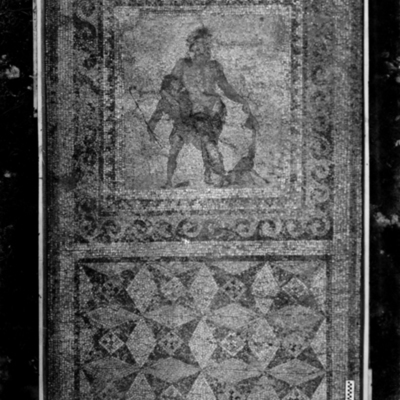 Mosaic from Room 5 showing the Drunken Dionysus leaning on Silenus. 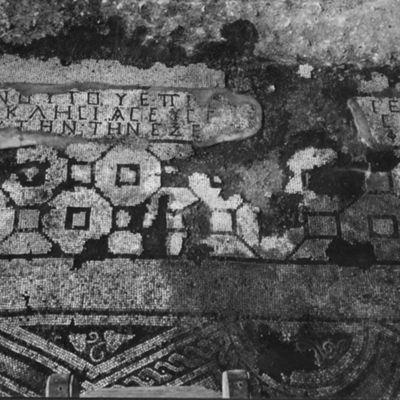 Detail of left and right halves of mosaic inscription 4 in Room 5. 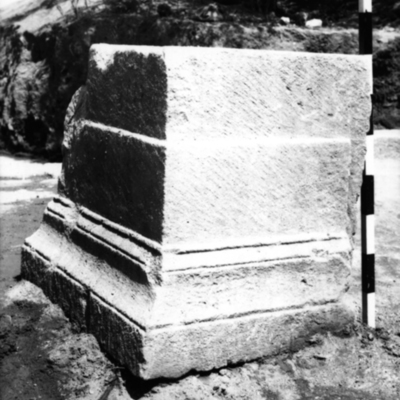 Detail of double tomb in Room 5. 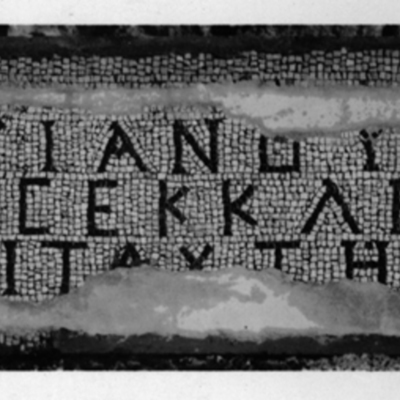 Mosaic inscription 4 from Room 5 left half. 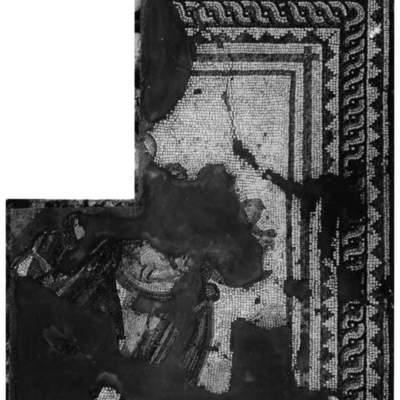 Mosaic panel A from Room 5 emblema badly damaged. 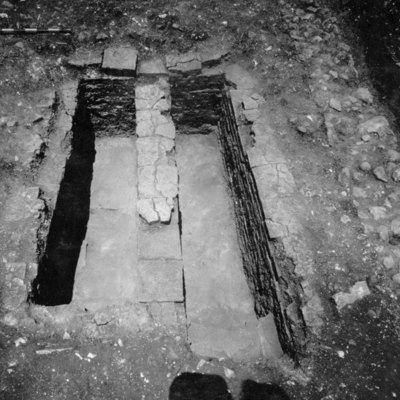 Detail of sub-rooms 2 & 5 after drain removal. 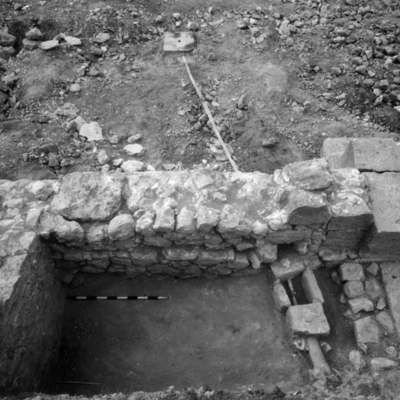 Detail of Room 4 looking into Room 5. 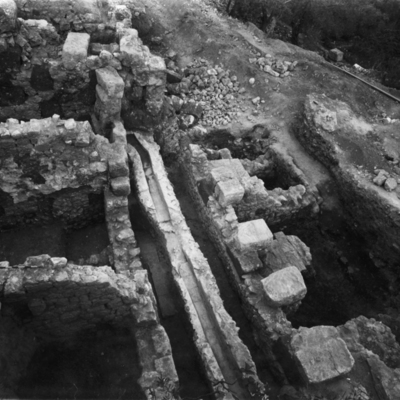 Southwest angle of Room 5. 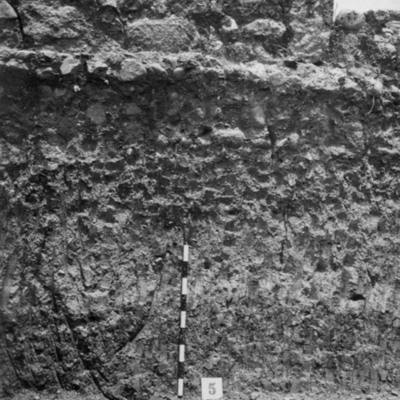 Detail of north wall stratification in Room 5. 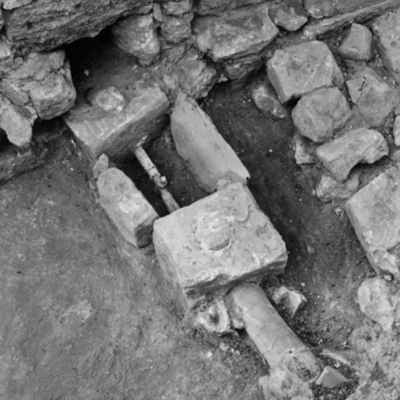 Detail of water pipe and turn key in Room 5. 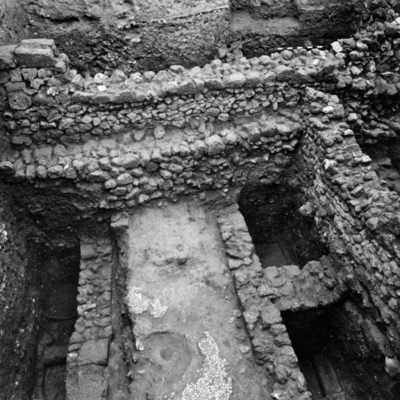 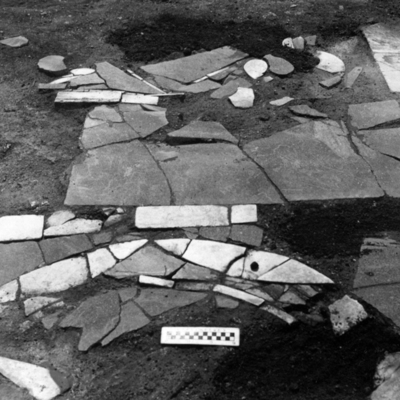 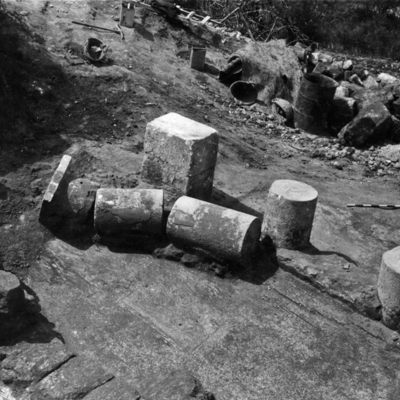 Excavations after removal of mosaics showing water pipe from Room 5 running south. 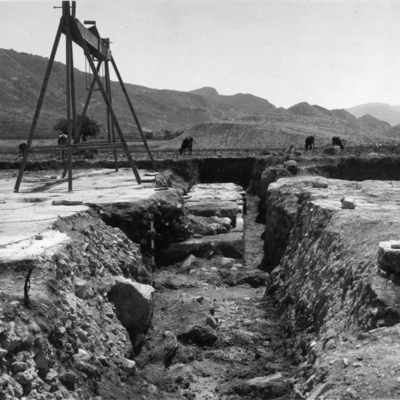 View from Room 19 looking into Room 5 during excavation. 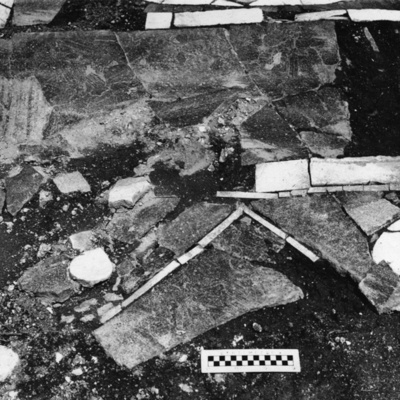 Detail of hexagonal marble pavement south of late canal. 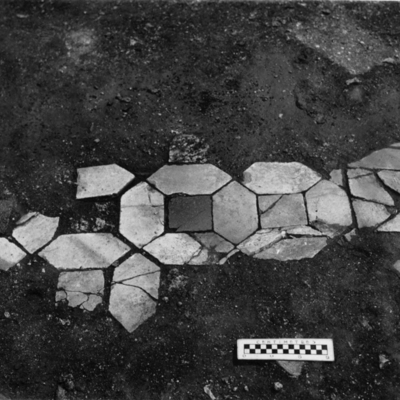 Detail of circle and square of porphyry floor south of late canal. 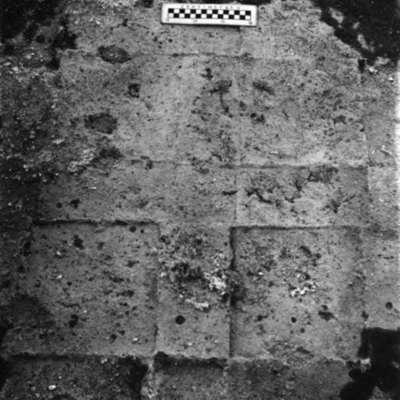 Detail of marble pavement at east side. 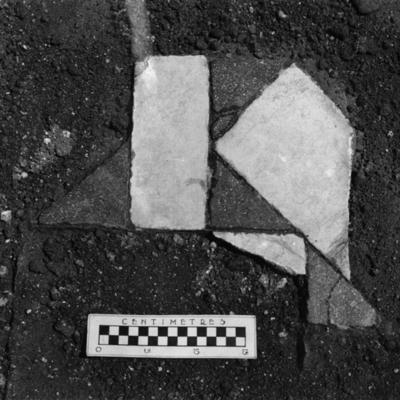 Imprint of marble inlay in pavement west of old canal. 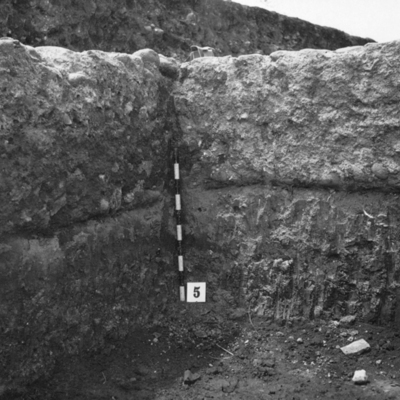 Wall between Rooms 4 & 5 showing fine masonry and cutting of the floor.